Scent: Intoxicating notes of deep floral bliss. Benefits, Indications: The Sacred Blue Lily of the Nile was found scattered over Tutankhamen’s body when the Pharaoh’s tomb was opened in 1922. Many historians thought it was a purely symbolic flower, but there is mounting evidence that suggests that ancient Egyptians used the plant to induce ecstatic states, stimulation, and visions, as well as as a medicine (Voogelbreinder 2009, 247). Used in meditation to anoint the crown of the head and the Third Eye Chakra, used in sacred ceremonies, added to baths for a beautifying soak, used by the ancient Egyptians in sacred rituals for its ethereal benefits. 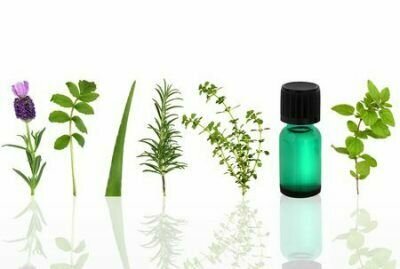 Great and widely used for aromatherapy. Blue Lotus is known as a natural aphrodisiac. Can be used for aromatherapy, promotion of sexual desire, ecstasy, and euphoria. Blue lotus may speed up circulation and enhance connection to source. Perfect for perfume. It helps in providing relief from pain, creating a feeling of well being, ecstasy, euphoria as well as helps in increasing circulation. Further, it also contains an anti-spasmotic called Nuciferin. The blue lotus oil has extremely soothing and calming properties and is effective for stress, anxiety and irritability. It is well known for providing relief from muscle cramps and provides a euphoric sensation. Chemical Constituents: Phytosterols, bioflavonoids and phosphodiesterase. Nymphaea caerulea contains apomorphine, a dopamine agonist, as well as nuciferine, nupharine, and nupharidine. The flowers have also yielded a variety of alkaloids, including kaempferol, which has MAOI properties (Voogelbreinder 2009, 247). Companion Oils: Neroli, Frankincense, Lime, Vanilla, Ylang, Myrrh, Tuberose, bergamot, opoponax, oud, rosewood, ylang-ylang, cinnamon, geranium, sandalwood, and rose. Precautions: Pregnant woman and nursing mother should avoid Blue Lotus Absolute oil during their pregnancy. Should not be applied on children or infants. It is believed that the phytochemicals in the Lotus plant interferes with drug therapy in the treatment of diabetes, high cholesterol, psychiatric or cardiac conditions, or erectile dysfunction, but this is based purely on the constituents of the plant, not actual evidence.